CRM software or customer relationship management software is one of those all-important things that small businesses really cannot do without, no matter how tight their budget is. It really makes no sense to do without this because without it at their disposal, managers and employees will need to use inefficient manual methods to keep track of contacts and customer correspondence, and sales projections and so on. Any business will soon lose a great deal of money hiring more people to handle these things. There’s a myth out there about how only businesses that deal in selling to end customers need customer relationship management software. That isn’t true at all. It isn’t just meant for businesses that actually sell. A CRM platform can provide business with such insight into everything. One notices results immediately. Even nonprofits use CRM software, and they report better donations. The fact that your choice of CRM package can have such a huge impact on the success of the business makes the process by which you choose it that much more challenging. It’s not that this is usually a very expensive buy. It can be quite affordable. It’s just that if you buy something that’s not a good fit for your business, you’ll still end up spending resources setting it up. Not only is that time that you could’ve spent on a product that would be useful, you’ll even have been able to reap the benefits that such software should give you. You could call it the price of lost opportunity. What do you need to look for in customer relationship management software for the small business? You really don’t want something that’s high maintenance. 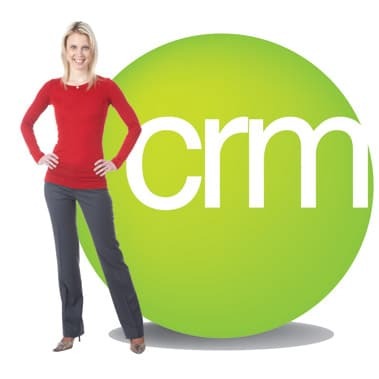 The very purpose of CRM software is to make everything easy to use. You don’t have to hire a bunch of new people just to babysit your software. So you need to look for software that offers a tabbed interface, customizable screens and user-friendly wizards for everything. This will help your employees train themselves in how to get things done. Your CRM package should keep track of everything that needs to be done, and it should put out reminders for everything, thank you notes, requests for feedback and so on – all of these should be automated. But all of these are really just basically contact management. A proper CRM platform will be able to automate a lot more. It should be able for instance, to work with multiple departments. The person who handles direct correspondence with the customer should be able to hand it off to the sales manager, or a technical support person, and they should be able to hand it back to the customer support person. They call this business process automation, and it should all be seamless. Integration with all your existing software should be given. But more importantly, you want your CRM software to provide you with business insight with all kinds of research and analysis. They call it reporting, and to many businesses, this is the most important part of what it does for them.